El Questro Wilderness Park stretches over 700,000 acres, situated in the Kimberley region of Western Australia’s far north. A choice of accommodation is available in safari-style tented cabins, cosy bungalows, or in the luxurious Homestead itself – but it is the vast landscapes of the Kimberley that will remain etched in your memory. One of Australia’s last true frontiers, numerous activities are available at El Questro, including hiking trails, cruising through spectacular gorges, barramundi fishing, horse trekking and exploring remote areas by helicopter, flying over landscapes that few people have ever seen. The park is littered with rust red canyons, thundering waterfalls and pockets of lush green rainforest, home to a wealth of birdlife and native species including saltwater crocodiles. 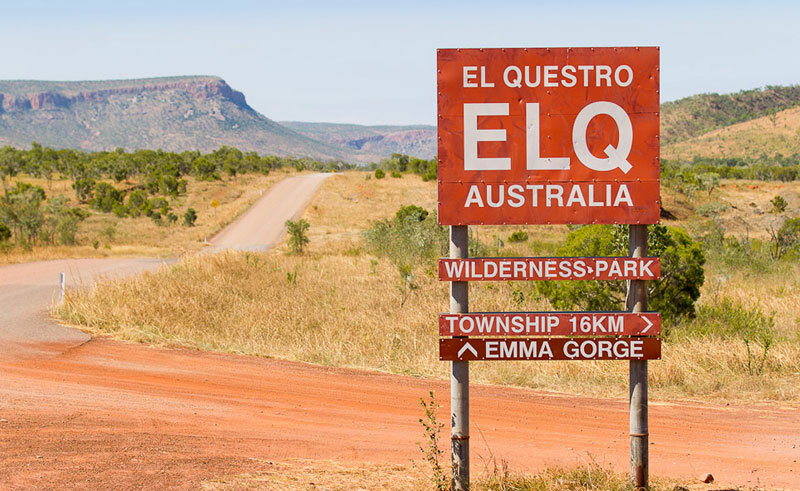 El Questro Wilderness Park is located 100kms from the nearest airport city of Kunurrua, and is easily accessible from here either by 4WD self-drive, a pre-booked transfer service or a private charter flight. 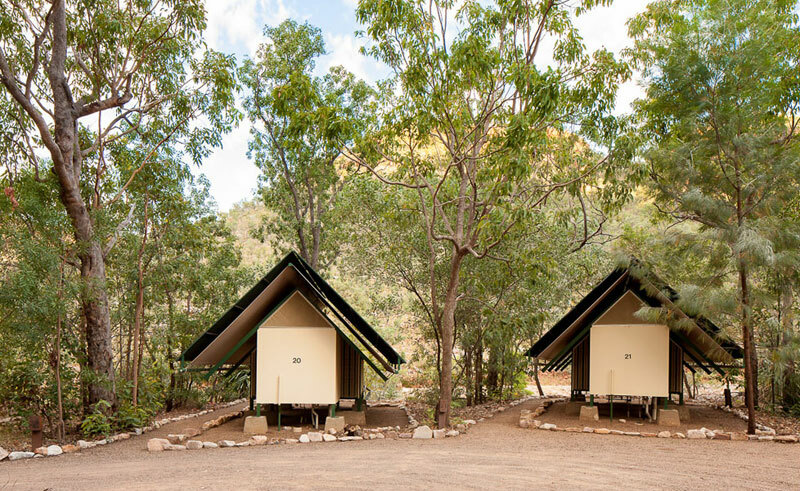 A range of accommodation is on offer at El Questro, from tented cabins nestled into the natural bushland at Emma Gorge Resort, to air-conditioned bungalows at El Questro Station or exclusive five-star luxury at the Homestead. Emma Gorge Resort nestles between palms and pandanus trees with the towering red cliffs of the Cockburn Ranges in the background. The resort is located 2 kms off the Gibb River Road and is close to a number of natural attractions, including Emma Gorge with its cascading waterfall and turquoise swimming hole. Accommodation at the Emma Gorge Resort is in safari-style tented cabins, each with private ensuite, wooden floor and proper beds. 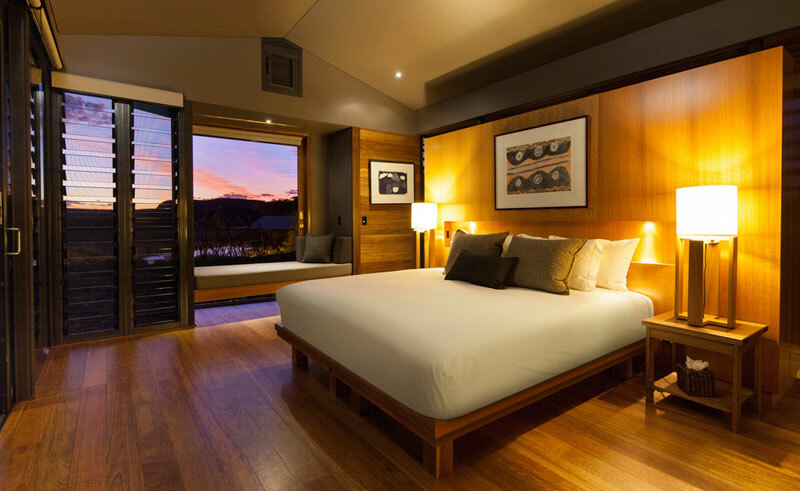 Raised roofs allow the tropical outback scents and sounds of bird life to filter through; a rare chance to immerse yourself in the wilderness in true comfort. Amongst the landscaped gardens you will also find a lounge area, pool and open-air restaurant with a retractable roof for star gazing. 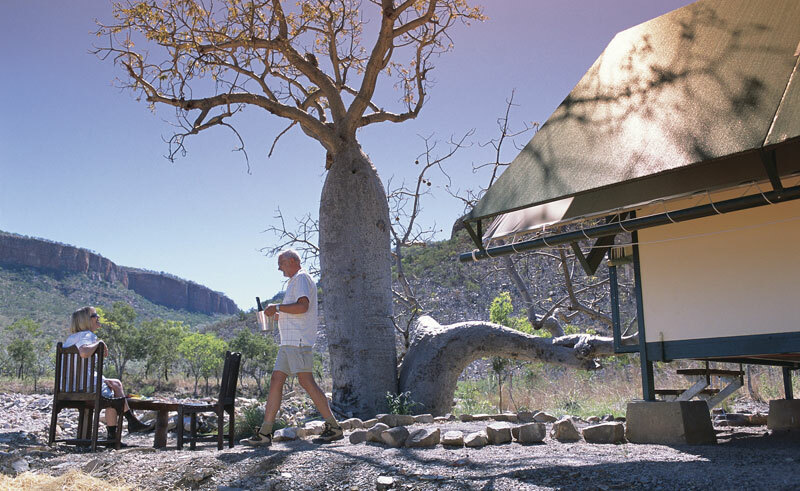 Located on the banks of the Pentecost River, The Station is the heart of El Questro. Here you will find the The Station Store and Café, Steakhouse Restaurant, and Swinging Arm Bar complete with campfire. A wide range of tours are available from The Station and the waterhole provides safe swimming in a natural setting. 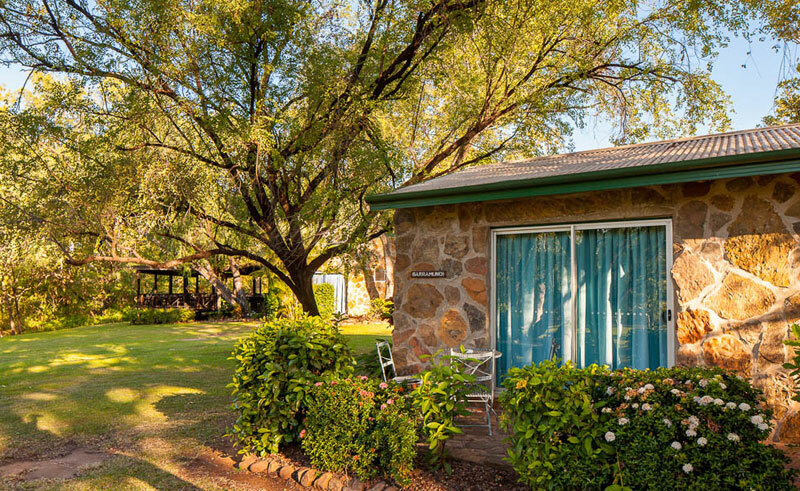 The Station Bungalows offer comfortable air-conditioned accommodation, ideal for families and travellers who want to be at the hub of all the action. Most bungalows feature a balcony overlooking the river. A campsite is also available at The Station. In the middle of almost a million acres of wilderness park, the deluxe El Questro Homestead sits in stark contrast to Western Australia’s rugged Kimberley landscape. Set on a clifftop and catering to just 18 guests, each of the Homestead’s 9 rooms has a private veranda, some with outdoor baths, overlooking the Chamberlain River or the gardens. Enjoy gourmet meals and beverages with food and wine sourced from the nearby Ord River Valley, home to a wealth of tropical and organic produce. This is supplemented by the abundant riches of Western Australia’s coastlines and paddocks and can be enjoyed in your preferred dining location, whether that be on your veranda or taking in cliff top views under the stars. Ranger guided activities are included – soak in the Zebedee Thermal Springs, cruise private gorges, rivers and waterfalls, explore from the air, horseride or hike the terrain on foot before returning to the luxurious Homestead at the end of the day.